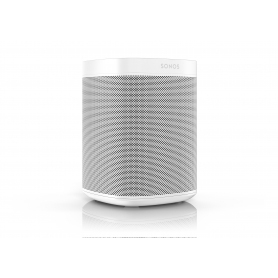 The Sonos wireless sound system is simply one of the best sounding, most reliable and highly flexible there is. With the latest Sonos components you don't even require a BRIDGE or BOOST, as they are capable of linking via your home Wi-Fi system. For the very best results, though, linking one component to an Ethernet connection will allow you to take advantage of the famous Sonos 'Mesh' system. The more components you add, the stronger this dedicated wireless mesh becomes. Best of all, because it runs independently from your Wi-Fi, the reliability and strength of the signal is unaffected by Wi-Fi dropouts. Controlling your Sonos system couldn't be easier. Simply download dedicated apps for your smartphone or tablet - both Apple iOS and Android are catered for - and you're good to go. You can either stream music stored on your device, from a local network share or take advantage of music streaming services such as Spotify, Napster and last.fm. With the veritable selection of music sources available on Sonos, there's simply no need to buy 'physical' music again! Sonos have a reputation for above average sound quality and the Play:1 is no different. By using a dedicated tweeter and 3.5" woofer unit, each with their own amplifier, sound quality is excellent. The two-way, active design gives a punchy, dynamic sound with excellent detail and control. Think of a scenario and the Play:1 fits. At its most simple level, it's ideal as a music zone in a small room. Alternatively, use two as a quality hi-fi speaker pair. Add more bass with a Sonos SUB or go the whole way and use them as satellite speakers within a Sonos 5.1 home cinema system. 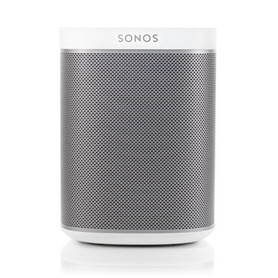 Whatever you decide to do, the user friendly Sonos app guides you through the set-up procedure. With robust build quality, the Play:1 is not only built to last but also ideal for use in rooms with wide temperature changes - such as conservatories. The solid construction with no vinyl wrap or wood veneers to peel or distort will still look good in years to come. As usual, there's a Play:1 White and Play:1 Black so that finding one to suit your decor is easy. For all that's great about Sonos, within a cute and compact speaker, the Play:1 is a welcome addition to the family.